Globalization has well and truly taken hold of today’s industrial and economic sectors, however the latest shift in current trends is that of the globalization of social business. We are currently witnessing the humanization of organizational culture on a goliath stage as more and more Fortune500 companies recognize the importance of social technologies. What is an imperative strategy now, for those few companies, is to transform their social footprint onto a global scale through a globalized social strategy. Today’s 2.4 billion Internet users are seeing their quotidian life transform before their eyes on account of social and technological advancements. As a result, the international social landscape is vastly different – in 2012 alone, social media users increased in India and China, the two most populated countries in the world, by 51.7% and 19.9% respectively. Although accustomed to riding shotgun as the two leading social networks, Facebook and Twitter are having to share their audience with numerous other international social behemoths in the making. China is a particularly fascinating case as it has blocked both Facebook and Twitter from treading into its waters, making room for homegrown social networks to blossom. This acutely attractive market is home to countless major players including Tencent’s Qzone, Tencent Weibo and Pengyou making up 56% of the country’s active social media users. A platform gaining great international reach, Sina Weibo, hosts 287 million active monthly users and more than 250,000 company pages. This is taking the international scene by storm, such that 25% of Fortune500 companies now possess a Sina Weibo page. In addition to Sina Weibo, more and more U.S. companies, such as Nike and Starbucks, are flocking to WeChat (Weixin in China), an instant messaging platform with video, photo sharing and status capabilities. Its current growth curve is appreciating on average by 25 million new members per month. Although America may possess the title of being the ‘Golden Shoppers’ of the Internet, Asia is a source of unbelievable potential. 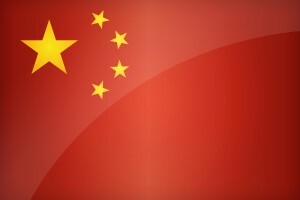 China accounted for over $160 billion in online transactions during 2012. On top of that, 67% of China’s social media users interact with brands online averaging 8 each. As a global brand with loyal customers on an international scale, it is imperative to globalize your social footprint to maximize your customer engagement across all borders. Regional Differences: Establish a system through tools such as Sprinklr or Hootsuite whereby you are actively tweeting and sharing even when you are asleep! Chinese customers are definitely not waiting for U.S. social peak times to interact on social. Language: According to a survey, only 18% of web users would make an online purchase through a website in a foreign – meaning 82% would NOT! Belgium is a prime example of this conundrum; having 3 official languages, social content is needed for its French, Dutch and German speaking audiences. Localization: During the 1970s Wang, an American computer company, launched an advertising campaign “Wang Cares” which didn’t go down too well in its British branches. No explanation needed. It is crucial to transform your Geocentric strategy into an Ethnocentric strategy – “Think Global, Act Local”. While 2012 saw Facebook turn public on the Nasdaq Stock Exchange; it also amazingly saw a loss of 1.4 million active monthly users. The enormous surge in popularity of international social platforms across the globe allows them to attract new users every day. To tap into these markets, a social business’ global organizational model must be completely transparent in order to effectively communicate with its international audience. A globalized social media strategy is imperative to establish essential policies, training and know-how to communicate the brand’s method effectively across all social, cultural and regional barriers. Take a look at the accompanying infographic & share!